So recently I’ve been bitten by the project bug again. And quite a bit by electronics hobby-type stuff again in particular, though not exclusively. More blog posts and updates to come soon. On the left is my old homemade DIY arduino based avr high voltage programmer made on old Hewlett Packard Engineering Protoboard based off of Jeff’s original design that i made in 2011. On the right is my brand new updated model named the AVR HV Rescue Shield 2 from MightyOhm.com. It’s main function is to help reset the fuses on AVR chips when you program them wrong. My old one came in handy and has saved a few chips from time to time. The new one obviously is better, mostly because now that i’m tinkering more with attiny85V chips i now have a High Voltage Rescue shield for them too, though it also does not require an external 12VDC power source as it has some sort of built in surface mount step up voltage chip. So as briefly mentioned above i’ve been tinkering with trying to program attiny85v AVR chips. I’ve dug out my old trusty USBtinyISP AVR Programmer and I’ve recently gotten a Sparkfun Tiny AVR Programmer. 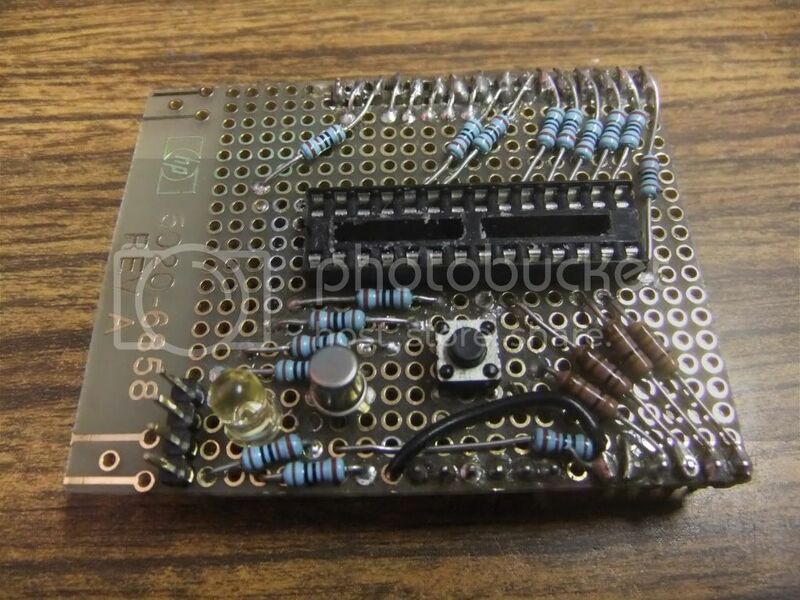 What i’m really intending to do is make a shrunk down version of my old Mystery Project by re-purposing and reprogramming my Adafruit TV-b-gone kit. I just need to get the frequency right. I’m starting by seeing if i can compile and upload the tvbgone AVR/arduino code to a blank attiny85 first. If i can do that i can work on changing the code. So far though i haven’t gotten the AVR fuses correct yet to use the tvbgone’s external 8mhz oscillator, though i think the program has uploaded correctly. That’s why i needed the HV Rescue Shield 2 mentioned above. In addition, i finally ordered the parts to finish my DIY Arduino MENTA boards. They are cool Adafruit designed Arduino compatible boards that fit into an Altoids mint tin. Some of the other items I’ve been tinkering with have been Raspberry Pi’s, including various Linux-based Operating Systems including Raspian (a debian based distro), Octopi (debian running Octoprint – 3D printer software), and RetroPie (an emulator to play old roms for NES, SNES, Playstation, Atari, Gameboy, and other popular gaming systems). The tiny $5 Raspberry Pi Zero. Tinkering with automatic plant lights and a gardening moisture sensor. And my fancy new SparkFun Vernier Interface Shield an upgrade to interface my Vernier sensors with Arduino. More on that in another post soon! I also recently ordered a USB cable in order to salvage a scrounged barcode scanner that my brother saved from the Barnes And Noble dumpster. The USB cable works! Now i just need to figure out a use for it. Not bad for a $10 cable on ebay to a functional $200 value barcode scanner. ← Happy Esperanto Day 2016!